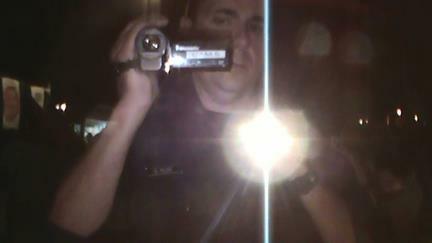 TPD officer filming me filming him while his partner gave me a ticket for being at Armory Park during Occupy Tucson. He ignored me when I said I was a journalist and had a right to be there and to film him and Occupy. As you are well aware, Michael Brown’s shooting is just one in a very long and disturbing list of unarmed young blacks (primarily men) being shot by police or armed citizens. What the hell is going on?! Do ya think there are way too many guns out there? In this world of smart phones and social media, everything from cute kittens playing with boxes to police violence is photographed and shared. Problem is: the police don’t like being photographed or videotaped. Journalists are citizens are often arrested or roughed up and cameras confiscated or broken when they try to record police behaving badly. That is illegal! Following the arrest of two journalists in Ferguson today, I found this very helpful post from the American Civil Liberties Union (ACLU) about photographer rights. Here is an excerpt. Check out the link below for more. Police officers may not confiscate or demand to view your digital photographs or video without a warrant. The Supreme Court has ruledthat police may not search your cell phone when they arrest you, unless they get a warrant. Although the court did not specifically rule on whether law enforcement may search other electronic devices such as a standalone camera, the ACLU believes that the constitution broadly prevents warrantless searches of your digital data. 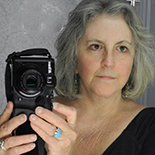 It is possible that courts may approve the temporary warrantless seizure of a camera in certain extreme “exigent” circumstances such as where necessary to save a life, or where police have a reasonable, good-faith belief that doing so is necessary to prevent the destruction of evidence of a crime while they seek a warrant. Go here for more. And be careful out there! This entry was posted on August 14, 2014 by Pamela Powers Hannley in democracy, Free Speech, gun control, Media, Political corruption, racism and tagged Ferguson, gun control, police violence.